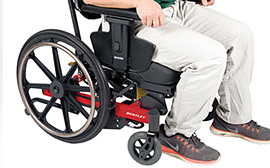 The Bentley is a Manual Tilt-in-Space Wheelchairdesigned to offer up to 20° of tilt from the front of the seat, making it an excellent choice for postural positioning and allowing the user to keep their feet on the ground even while the chair is tilted. 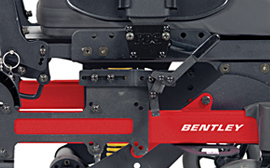 With a short wheelbase and easy foot and hand propulsion in tilt the position, the Bentley is truly designed to provide the benefits of tilt with mobility independence. No knee rise tilt is ideal for foot propulsion. 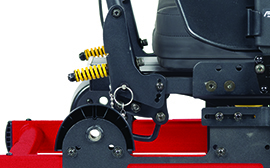 Adjustable wheel position allows for easy arm access. Accommodates a variety of patient needs for optimal performance. Providea maximum comfort and protection.